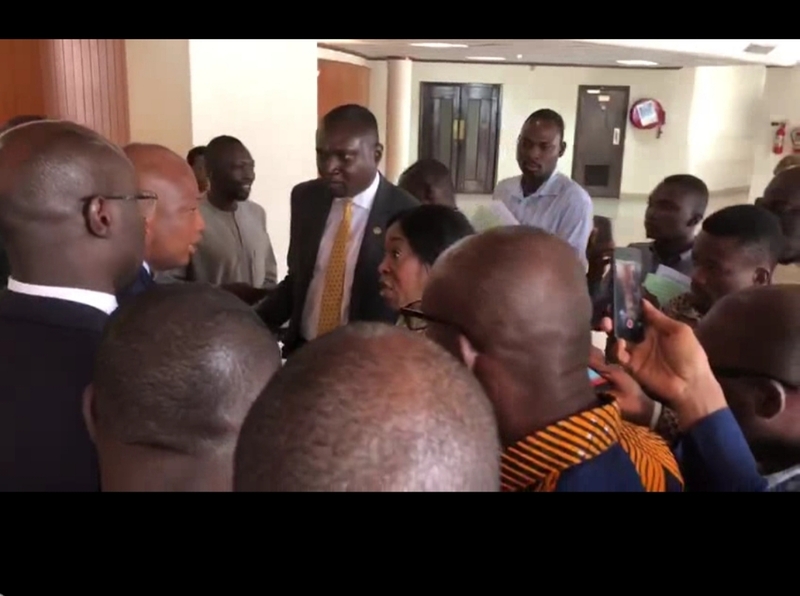 A heated brawl between The Minister of Foreign Affairs, Shirley Ayorkor Botchwey and National Democratic Congress (NDC) North Tongu MP, Samuel Okudzeto Ablakwa within the premises of parliament on Monday, 17 December 2018 almost ended up in feisty fight between the Minister abnd Sam George. The heated brawl between the two lawmakers was as a result of Mr Ablakwa’s accusation alleging government had inflated the cost ($12 million) of a six-bedroom residence for Ghana’s new mission in Norway. The encounter took place within the corridors of the house in the presence of the media after the Speaker had suspended sitting. According to the Minority side, the property has been inflated by $8 million. A document in possession of the Minority revealed that a previous buyer, Lillian Olsson, bought the property in 2014 for $2 million and sold it in 2017 to an unknown buyer for $3 million. This accusation by the Minority forced the Speaker to suspend sitting for further deliberations. But the two MPs continued the debate within parliament’s corridors, resulting in the brawl. During the exchanges, Ms Ayorkor Botchwey lunged at another Minority lawmaker, Sam George Nartey, who was apparently videoing the whole brawl on his mobile phone, with the intention of stopping him from doing so. Mr Nartey was heard afterwards saying he would report to the Speaker that he had been assaulted by Ms Ayorkor Botchwey.